Do you want to have fun playing badminton? Hello! We are the NUFS Badminton Club. We welcome not only experienced players but also beginners. 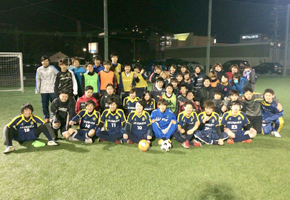 We practice together with students from NUAS, so you can make many friends. If you want to continue playing badminton, or if you want to learn something new, feel free to join us at the arena! Beginners are welcome! Most of our members are beginners! Hello! We are WAKE UP! Our club is very fun and we are always laughing! Those who want to play tannins seriously, those who are even slightly interested in tennis, both are very welcome to join our club! Please come and watch us practice! Both beginners and experienced players are very welcome! 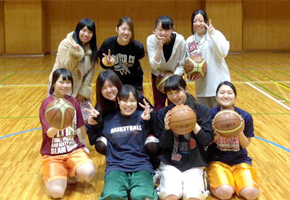 Let’s enjoy playing basketball! The attraction of the club is our laid-back approach. But we do also practice properly! It is perfect for those of you who would like to play basketball in university, but not too seriously! Beginners are welcome! Nice and funny senior students will teach you the basics from how to pass. Feel free to come and watch us at the arena! Let’s have fun playing basketball with everyone! We practice every Tuesday and Friday at the arena next to the atrium. Our practice is not strict, so we welcome anyone who wants to enjoy playing the game regardless of his or her previous experience! Since we don’t have that many members, you will be running around the court a lot and it will be a very good exercise! We are looking for those who want to play and enjoy soccer seriously! Since we don’t have that many members and there is no hierarchical relationship in the club, members from 1st year to 4th year have good relationships with each other and have fun playing soccer. 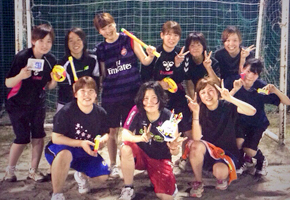 We participate in the prefecture league so each member takes soccer seriously! Please visit us at the ground if you have a little interest in soccer! We are looking for ambitious members! You are welcome to overturn the typical hierarchy of Japanese society! 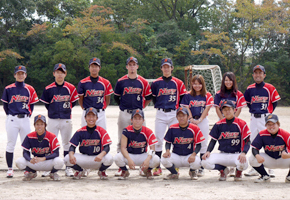 We enjoy playing baseball with the motto of “The ball is hard but our human relationships are soft “. Of course we have a hierarchy but everyone is the same once we are all out on the ground. Play hard as much as you can! Let’s make a wonderful team together! It would be the first step to various jobs including teachers, firefighters, and jobs in the airline and finance industries! We are also looking for a manager. Our Soft Baseball circle meets twice a week at the first ground area. 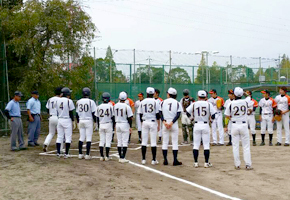 We are members of the Chubu Students’ Soft Baseball League, which means that we work hard to achieve victories within the league in the spring and the autumn. Some of our members never played baseball before joining the university, so we certainly give a big welcome even to beginners. Anyone who thinks they might want to try baseball is encouraged to join us! Hello! 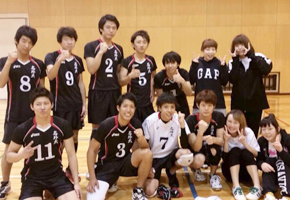 We are men’s volleyball club. With the motto of “Have fun”, we practice hard every day. We will teach beginners gently so we welcome beginners and experienced players to come and watch our practice! We will be waiting! 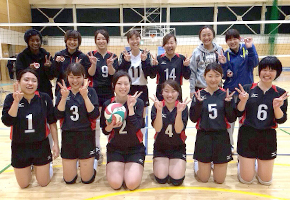 Come to our club if you love volleyball☆ Come on!!! Hello! We are the Women’s Lacrosse Club! Most members start playing lacrosse at university, so everyone is on the same start line! 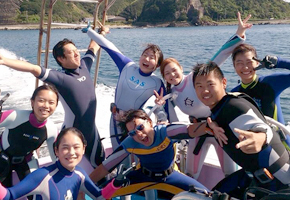 Senior students who are fun and full of personality will kindly show you how to play it♪ Since we have many exchanges with other universities, this should give you the chance to make friends! 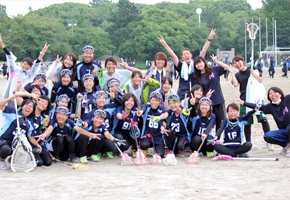 Let’s enjoy university life with lacrosse!! Our program covers "Kata" that allows you to learn the basics in a series of actions. Let’s aim to be a contemporary samurai! We also welcome beginners! Hello! For many of you, it may be the first time that you hear about iaido. It is a traditional Japanese martial art that uses a sword (imitation sword) and has more than 400 years of history. You might think that martial arts are difficult, but we practice in a friendly atmosphere. 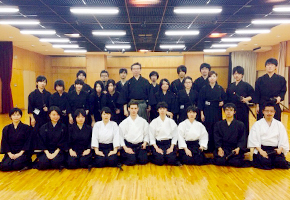 Most members start playing iaido at university, so we welcome those who never practiced any martial art! 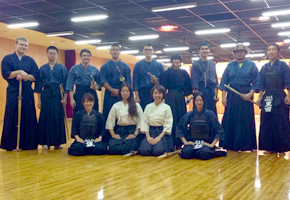 We practice together with the NUAS Iaido Club. We all get along very well! The club is looking for new members, both beginners and experienced players! We are the Kendo Club. 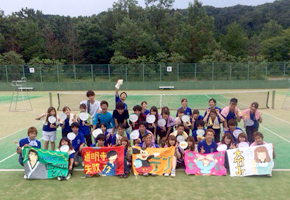 Our club resumed its activity last year and is now looking for new members. We would like to actively participate in official games, so we are looking forward to hearing from you! 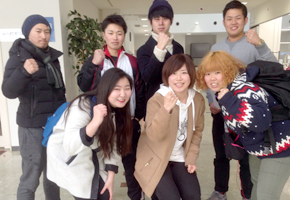 You can also get to know overseas students in our club! 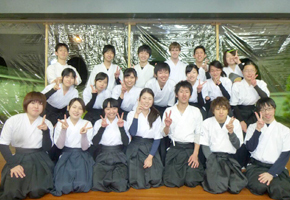 Do you want to do aikido, which is also popular overseas? Aikido is a martial art that can be enjoyed by anyone regardless of gender, and it can be self-defense training. Most of our members start practicing it at university. You will be taught by a teacher from a main dojo and interact with graduates! 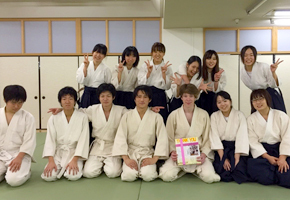 Furthermore, aikido is popular overseas and we practice together with the international students! Please come and visit us. Let’s share the best moments together! “Wandervogel” means “wandering bird” in German. Our activities focus mainly on mountain climbing, but we also go to various places including rivers in the summer and hot springs in the winter. 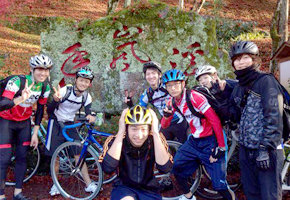 The main activity is a 4 day / 3 night summer mountain climbing trip. Magnificent scenery from the 3000m elevation is waiting for us after two weeks of training. Life in a tent is essential, too. Why not aim for mountain peaks with us? You get to make contact with animals from the sea! We welcome anyone who loves the sea. It’s OK if you cannot swim. We don’t have that many experienced divers. Those who love the sea, love Finding Nemo, or who love dolphins – come and visit us. Diving will be a life-long hobby. The advance of the bewitching WITCHES! Hello! 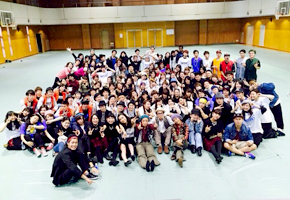 We are the NUFS Dance Club “ROUTE 20”! We focus on street dance and also divide ourselves into various genres. Hundreds of people watch our dance show at the Godosai Festivel every year. 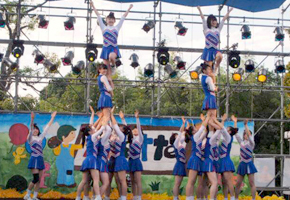 Half of the members on the big stage at the festival began dancing at university. Please come and visit us if you are thinking of starting something new at university. Let’s enjoy dancing together! It’s spring! Let’s go touring! We don’t have that many numbers so you will get along with the others quickly. Members can take part relatively freely - some of them take part in competitions, others go touring sometimes. Our room is next to the gym and below the atrium. Feel free to visit us! Everyone gather here! Let’s play soccer! Hello! 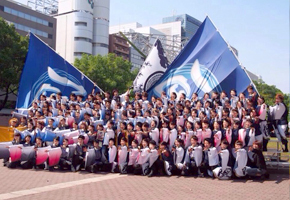 We are the Sosaichi Club! Our club is active every Friday from 17:30 to 20:00 at the first ground. 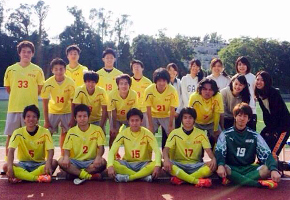 “Sosaichi” is small-group soccer. 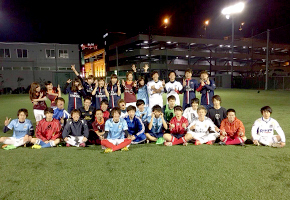 Boys, girls, experienced players, and beginners are all having fun together. Feel free to come and visit us if you are interested in our club. Let’s make memories of university life together! Let’s aim to win the national title! 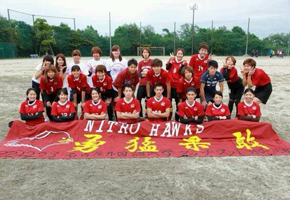 Hello, we are the NUFS Touch Football Club. It is similar to American football, but it can be played regardless of age or gender. All members began playing at university so beginners are very welcome. Why not practice hard with us together and fulfill our dream of winning the national title?! Please visit us even if you have a little interest in touch football!! Why not make memories with friends through table tennis at university? Why not practice hard while making friends? You will have the opportunity to be friends with the students from NUAS and other universities. We welcome not only experienced players but also beginners! Please come and watch our practice if you have a little interest in table tennis! 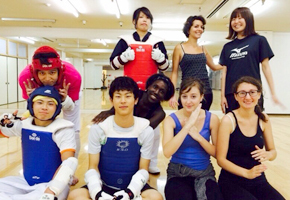 Why not have fun practicing Taekwondo and become strong together? We have 15 boys and girls in our club and are active twice a week. Most members are beginners but they will be able to do cool kicks after half a year. Our coach is a very kind Korean man who takes us to a training camp in Korea. 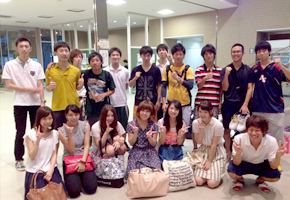 There are many international students participating in our club, so you can learn new languages and also make friends. Please come and visit us if you are interested! Let’s play a sport at a hall in NUAS which was invented in Germany! We are active together with NUAS. Indiaca is an official sport at the National Sports Festival played as a team of 4 people and the object of the game is for each team to send the indiaca ball with feathers over the net like volleyball. We practice very hard to win in big competitions. You will be able to enjoy the club activity because our members are all friends. Our Japanese archery group is active after school on Wednesdays and Fridays out on the old battlefield of Nagakute. Don’t worry at all if you are an absolute beginner because our unique seniors will give you excellent instruction. Our motto is “harmony and fun.” Whether you are a man or a woman, you are welcome to join us. Come one and all! We enjoy our activity regardless of age and major. 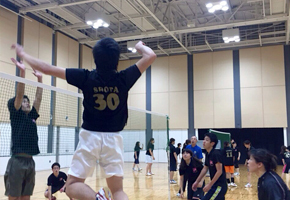 We practice every day in order to achieve good results in tournaments held in the spring and autumn. We also have a camp during long holidays. Beginners are very welcome. You may not get enough exercise in university, so let’s play softball together. Ballroom dance can be enjoyed by beginners too! You can dance not only elegantly but it also looks cool, so it is very fun☆ Apart from practices, there are many events including dance parties and competitions, so we have active interactions with other universities. Please feel free to visit us! Let’s express and give gratitude to many people! I fell in love at first sight with its power when I first saw a performance by Ou. Believe or not, most members are beginners! We start with composing music, we grow by overcoming various obstacles by dancing with the same song throughout the year, and we deliver our gratitude and excitement to each audience through our dance at festivals and events. We will teach from the very basics so it is suitable for beginners too! Let’s deliver gratitude and excitement to many people together! For those of you who love track and field! Anyone is welcome. Come and join us if you are interested in track and field competitions! We stay active in an atmosphere of harmony! Our teams are made up of both men and women. We practice diligently every week, but we also have fun. Our mutual relationships are very good. Beginners are also quite welcome, so if you think you might have an interest in handball, come by and give us a look! Our club was founded 3 years ago. We’ve only been established for 3 years, but we have more members now and the environment is getting ready to be a proper club. During practice, we have fun but there is an atmosphere to engage seriously. We have many beginners so beginners are very welcome! We of course welcome experienced players too! Please visit us if you are interested.